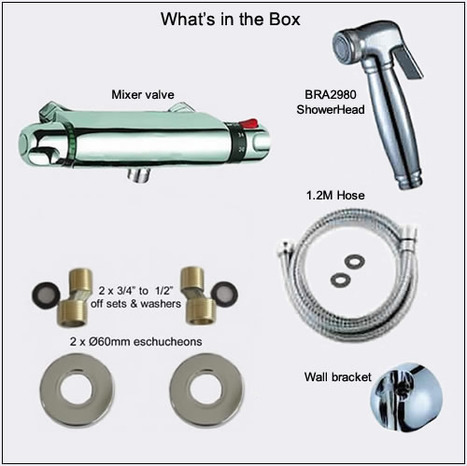 KIT5900: Thermostatic Bidet shower kit. 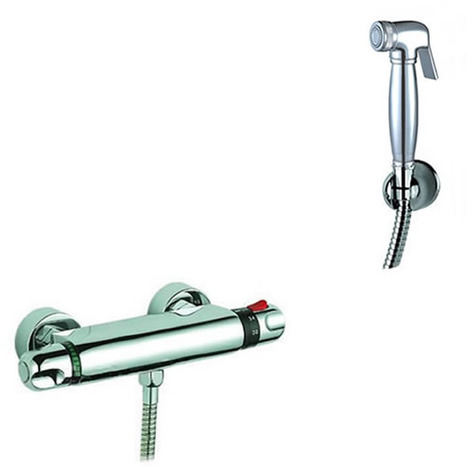 Comprises the BRA2980 shower head and hose exquisitely paired with the MIX5900 bar type Thermostatic Mixer. 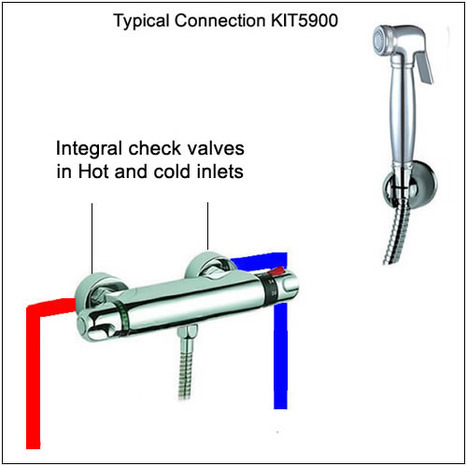 KIT5900: Thermostatic Bidet Shower Kit. This kit provides all the key parts your plumber will require to install this top quality Italian combination suite at a discount price. This kit is supplied with off sets for CONCEALED installation .i.e. pipework is concealed from view by being installed in or behind a wall. 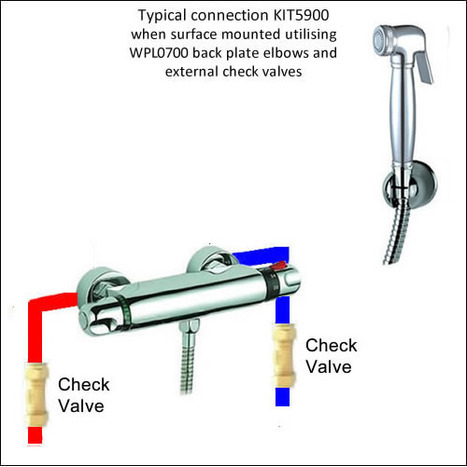 This kit can also be fitted surface mounted pipe work by utilising the surface mounting back plate elbows, part No WPL0700 sold separately.